As we saw in our introductory lesson last week, in the opening verses of chapter 1, John places a great deal of emphasis on the fact that he was an eyewitness to the ministry and teaching of Christ. What are some key words and phrases in verses 1-4 that show John was tangibly present with Jesus during His ministry? Why would this eyewitness testimony have been important in terms of John’s credibility? As you read the rest of 1 John, do you believe John has the right and the credentials to make the claims he makes (in addition to being inspired by the Holy Spirit)? 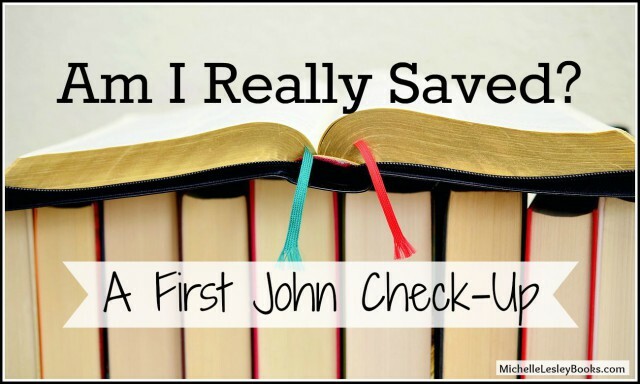 If you’ve never studied 1 John before, one thing you might find interesting is that John, generally speaking, is a pretty black and white kind of guy. He sometimes uses words that draw a sharp contrast between one end of a spectrum and the other as he does here in the last half of the chapter. What are the two contrasting words John repeatedly uses in the first half of this section? What/Whom does “light” represent? “Darkness”? What is the key word for the second half of this section? 6 If we say we have fellowship with him while we walk in darkness, we lie and do not practice the truth. 7 But if we walk in the light, as he is in the light, we have fellowship with one another, and the blood of Jesus his Son cleanses us from all sin. What does it mean to “have fellowship” with God? What are some words we use, labels we claim, behaviors we display, or activities we participate in that “say we have fellowship with him”? What does it mean to “walk in darkness”? Do you think you might be walking in darkness while claiming to be a Christian? What label does John use for people who live a lifestyle of walking in darkness while they simultaneously claim to be Christians? Are they really born again? What does it mean to “walk in the light as He is in the light”? Does this mean we will never sin? How does the end of verse 7 answer this question? Verse 7 tells us two results of walking in the light as He is in the light. What are those results? How does it impact the church when its members walk in the light? When they walk in darkness? Am I Really Saved? Checkpoint 2: Do I confess or deny my sin? 8 If we say we have no sin, we deceive ourselves, and the truth is not in us. 9 If we confess our sins, he is faithful and just to forgive us our sins and to cleanse us from all unrighteousness. 10 If we say we have not sinned, we make him a liar, and his word is not in us. Aren’t statements and actions like these saying “we have no sin”? Verse 8 gives us two results of saying we have no sin. What are those two results? Verse 10 gives us two more results of saying we have not sinned. What are those two results? What does it mean to “make him a liar”? (10) What do our actions say to others about God? What is another way to say “the truth is not in us” (8) and “his word is not in us” (10)? What implications do those phrases have for our lives? Verse 9 gives us two results of confessing out sins. What are thse two results? How, and to whom should we confess our sins? This week, we are examining our salvation with regard to the way we deal with sin in our lives. A person who is genuinely born again will still sin, but she will agree with the Bible about what constitutes sin. She will be grieved over her sin, confess it to God (and others when appropriate), ask forgiveness and cleansing, and will want to avoid that sin. Her greatest desire will be to walk in holiness and to be conformed to the image of Christ out of her love for Him. An unsaved person cares nothing about holiness beyond her appearance to others. She might do and say “churchy” things, but her heart isn’t truly in it, because, not having been born again, she has no love for Christ. She will unrepentantly persist in her sin, even arguing that the Bible is wrong, outdated, or doesn’t apply to her when confronted with her sin. Do you walk in repentance or persist in sin? Do you desire real, inward holiness or just the outward appearance of being a good person? Prayerfully examine your heart, asking God to make clear to you the way you regard your sin, and repenting of any sin He reveals. Thank Him for the foriveness He promises through the blood of Christ. Whenever I teach I John, I see question marks over women’s heads, and it’s so fun to get this topic out on the table with biblical certainty!